The Downtown Merrylegs are a Parisian based Folk/Rock band made up of musicians from around the world,playing the songs of singer songwriter Charlie Seymour. This is their second release and is a folk tinged emotional record, read what we think below. This album sounds like it should be listened to in the summertime, when the sun is late to leave us in the evenings and early to rise in the day. It’s for sitting outside with a glass of wine or flagon of beer and putting the world to rights with friends. It’s a record for sitting alone and reflecting on old loves and ghosts as the sun disappears behind the houses. A record for dust mites circling in beams of light. Of cigarette smoke curling into moonlit sky. 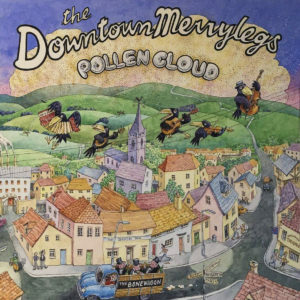 The Downtown Merrylegs come from far and wide and are based in Paris, and the music reflects a cosmopolitan soul but it has an underlying British feel, I think that comes mainly from the vocal which is rough, rich and soulful. Charlie Seymour carries off a wonderful emotive sound with his voice which for me makes this album rise above most other folk records I have listened to. Right from the start the languid sound makes you listen and tune right into the lyrics, and they are about struggling, songs of protest about class and not being privileged. There are songs with love, songs with regret and a wonderfully mournful ghost story. The music sounds timeless, it’s led by the violin and the guitar and although it’s folk there’s no diddly diddly here, you know how the Pogues took Irish folk music and made it real and alive, that’s what Charlie Seymour does on this album with the Downtown Merrylegs sound. You feel like you are sitting on the banks of the Seine, like you are walking the winding dusty country roads or alone in the dark streets jumping from phantoms. The best way to understand my feelings on this record is to simply listen to it, so click on the link below and have a go. A great record and a band I would pay good money to see live. 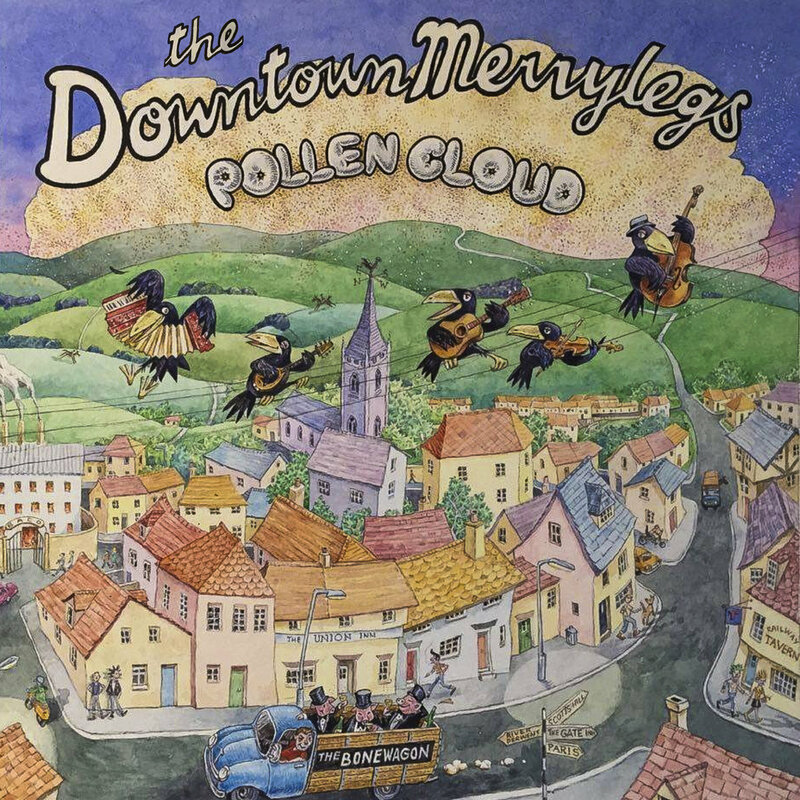 Pollen Cloud by The Downtown Merrylegs The Downtown Merrylegs bandcamp page is thedowntownmerrylegs.bandcamp.com, they can also be found on Facebook.